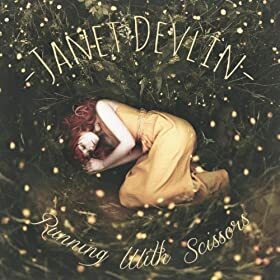 If you’re searching for a new album addiction that fulfills all your folky pop, sweet love, and carefree sunshine-y needs, Janet Devlin’s debut album, Running with Scissors, is sure to satisfy whatever whim and mood you might come upon during your day. This Irish songwriter has broken into the music scene after her discovery as a contestant on X Factor, and with her refreshing twist on mainstream pop music, it doesn’t look like she’s leaving the scene anytime soon. Devlin’s angelic voice rings through the album, especially in the slower ballads such as “Things We Lost in the Fire” and “Whisky Lullabies.” There’s no doubt Devlin has talent—a voice like this is hard to find; it draws listeners in with striking, raw purity and tender, moving lyrics. In contrast with these slower, sweeter melodies, Devlin steps out with foot-tapping, dance-like songs such as “Creatures of the Night,” which is the perfect song to blast in your car and sing along to in the middle of the night. But if you’re looking for the perfect mixture of a wistful breakup and a tough façade with a side of the dance world, then “When You Were Mine” is your best bet. With lyrics like “I can’t hear your heart / And everything is cold / And I’m a little lost inside,” the song is a moving piece that will certainly have you feeling something. On the flip side of those heavy emotions, you have the carefree, happy tunes to pump up your mood, and that’s where Devlin’s killer song “Wonderful” comes in. This track is a go-to for the best days, the worst days, and honestly all the days in between. With clear and confident vocals and heartwarming lyrics, this song will put a smile on your face and some groovy moves in your feet in no time. In a similar vein, “House of Cards” is another pop, sing-along track with driving beats (and not to mention, a super cute, unique music video too). Running With Scissors has something for all music enthusiasts, and it’s hard not to love Devlin’s sweet and bright vocals. Really, it’s hard to find anything not to like within this perfect little package of musical goodness of an album. Her Irish roots are infused throughout her songs without overpowering the record. Already releasing a gem like this at the age of 19, we’re pumped to see what else Devlin’s future in music holds in store. Overall, Running With Scissors is refreshingly unique, and uniquely refreshing. Running With Scissors will be released on February 10th via OK! Good Records.